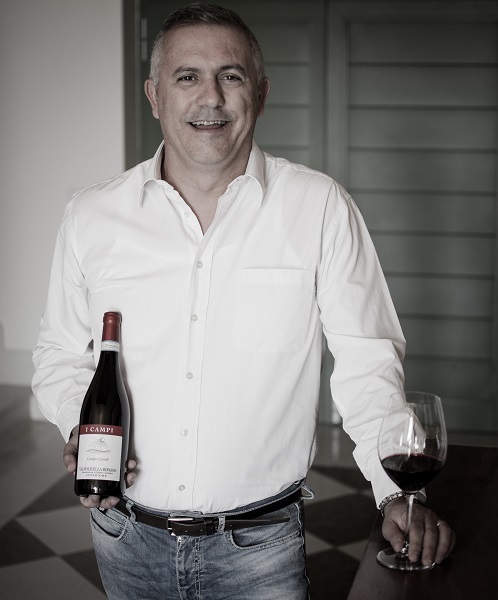 Flavio Prà has the leading role in this new winery. Flavio is a young Veronese wine-maker who collaborates as consultant with some of the most important Italian wineries. Flavio’s approach to wine is to research the essence of the grape variety and understand how its character can be clearly expressed. His style lead to a winemaking that does not overshadow the natural potential of the wine, which is respectfully expressed to its full capacity. With great care he chooses the vineyards, or “fields” which are suitable for the production of high quality grapes. This is also where the name of the winery come from, I Campi (meaning “the Fields”) describing just how it is the land which is the starting point. After 15 years of hard work and experience, Flavio decided to set to work on a project of a “mountain winery”. This project gave Flavio the possibility of experimenting with new production and wine making methods which are able to extract the highest quality possible out of the grapes. The wines are created taking the starting point of the land, the soil, the climate and also the maturation potential of the grapes on that land. I simply tried to follow nature with humility, placing the right vine in the right soil. Fourth generation of an historical family of winemakers, he started building on his understanding and research of viticulture and high quality winemaking right after completing his studies in oenology. This route coincides and evolves with his winemaker experience at important wineries in Veneto region and all Italy. Since he was young, Flavio makes his the family passion, characterized by respect for the vine and soil in which it is grown. He now tries to pass down all this to his children….